...NZ's hassle free empty cartridge collection service! 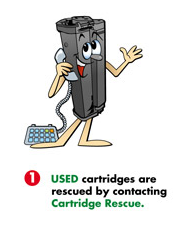 For over 10 years Cartridge Rescue™ has been taking back used printer cartridges to REUSE. In this time we have RESCUED and REUSED over 2 Million cartridges in Australasia. 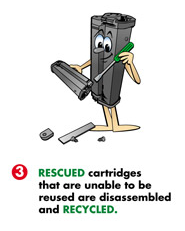 You can use our site to find out more about how you can make a difference by recycling your empty printer cartridges. 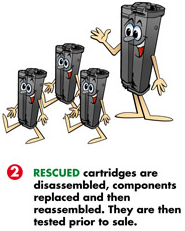 Why return empty cartridges to Cartridge Rescue™? We still offer the same free, friendly service you are used to, just call toll free 0800 008 005 or book a collection here. 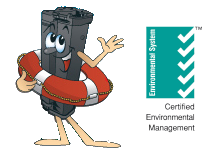 Returning empty toners through our program saves the use of the many non biodegradable materials used to create plastic and the energy required to make a new cartridge. This also reduces landfill and associated C02 emissions.